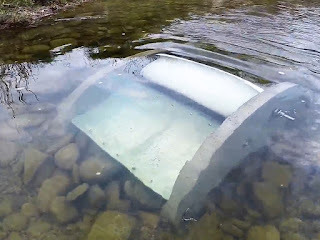 A Canadian company has designed a water turbine which can harvest energy in slow moving water. "Waterotor" can work in currents as slow as 2 mph which means it could be used in almost any river, canal, or ocean current. The company believe that "Waterotor" could be the solution for many of the world's 1.3 billion people that live without electricity. You can make inquiries with the company via their website regarding cost and shipping.